Official app of The Camden Fringe. The must-have app for The Camden Fringe. Stay up to date with what’s on, where it‘s on and who’s in it. ♥ and review your favourite Camden Fringe 2018 shows. Free for all. 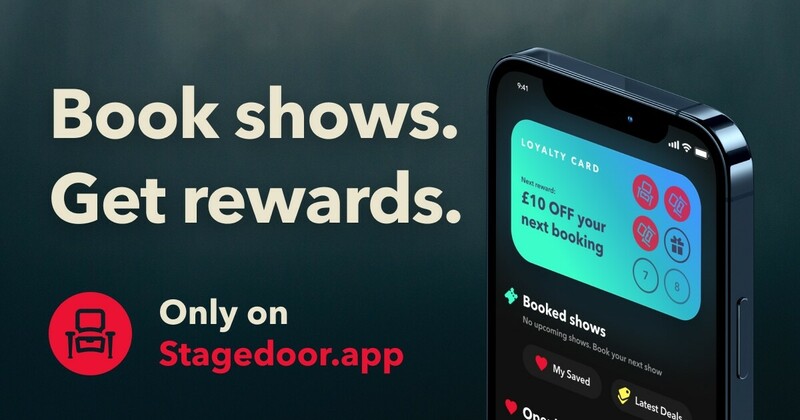 Download Stagedoor Currently only for iPhone. Find out which are the most popular shows from other attendees of The Camden Fringe 2018. See which shows are playing around you, and plan your day. 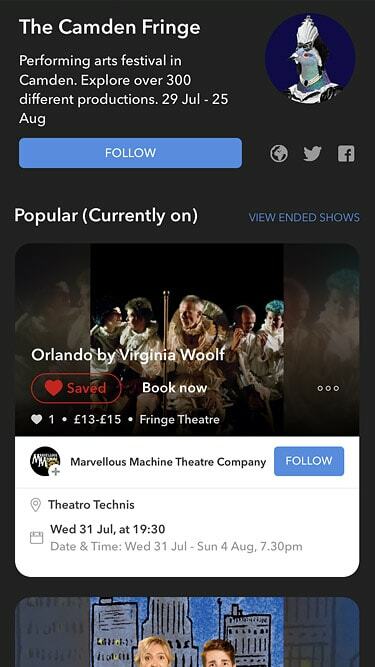 Follow your favourite theatre companies, venues and performers to stay up to date with future shows. Discover The Camden Fringe with Stagedoor. Spread the word and share this! Post this image on social networks and send to friends. Or, copy this URL: When pasting the URL, the above image will be attached automatically.